Photography is as personal as the tools you use. There is no right or wrong camera as each model has its pro’s and con’s and these are distributed between the features you want and the price you are willing to pay to have them. I get asked all the time if I prefer Nikon over Canon with the person asking expecting some sort of Android Vs iOS or PC Vs Mac reply. My answer is this. If I had the money I would have a Nikon setup, a Canon setup, a Sony setup and if I was that rich a Hasselblad setup (the supercar of the camera world). Why? Because they all do different things well. The market has shaped the products produced by all those companies and each has something to offer a person looking to create imagery. And this is more of a personal gripe, but if you find yourself in a heated debate about which brand is better without any reference to image making on both a practical and emotional level, then you have well and truly missed the point of photography. Main event work body – D750. Out and about on Mountains and boulder fields – Coolpix A. Mobile filming rig – Google pixel 2 and a Osmo Mobile 2. This list of gear has evolved over a period of time based on my own needs and money available. Your choice will come down to what your friends use, what the magazines and websites recommend, what you think you like and what you can actually afford. It’s worth adding that most top end smart phones do an absolutely amazing job of creating images and are actually little media machines with apps that allow creative possibilities for someone who may not want to invest in a dSLR/Computer setup. Lenses from the likes of Moment and Moondog open up a world of endless creative possibilities. But despite the glory that camera bodies are sold on, they only help facilitate the process of image creation. The most important part of the photographic system is the lens. The quality of the glass you use will affect the sharpness, contrast, bokeh and colour quality of the photograph you take. Most beginner kits fulfil all the basic requirements and there is no need to splash out thousands of pounds on gear you will not need or understand how to use. Plus, you need to work out how to use that lens first before you move onto other lenses so you actually know why you need them. All of the examples I will be giving are aimed at dSLR’s, but most top end point-and-shoot camera’s have all the basic functionality of a dSLR so most of what is written below you can use. It is important to have your camera setup correctly. This makes creating photographs and editing them an easier process, allowing more time to be spent on creative editing, and less time on corrective and re-constructive editing. So, before we go any further attach your lens, remove the lens cap, insert a memory card, put the battery in (I know, I know this is obvious) and turn the camera on! Try to always shoot in your cameras native RAW file format. This file type will give you greater detail and more options when editing. JPEGS, even lossless ones, compress the image you take. They do serve a purpose in some workflows but in general try to avoid using them. It is worth noting that the preview image you see on your camera’s rear screen is an interpretation of the photograph you have just taken based on the options selected in your camera image optimisation settings. If you are shooting jpeg then you will see the camera preview when you open your photograph on your computer, but, if you are shooting RAW the photograph WILL appear visually different from the preview on the back of your camera when loaded into Camera RAW or Lightroom. Do not panic or get frustrated, all editing software has a default setting for RAW files it uses when they are imported. There are ways to get around this using import presets and I will show you how to do this at a later date. Set your camera to record photographs in RAW format. All dSLR’s give you the option to optimise your photographs, for example: sharpness; contrast; brightness; saturation and hue can all be modified in camera. These adjustments exist in camera for people who do not have access to a computer to edit their images or if they are printing direct from the camera. All of these settings are adjustments that can be done with greater accuracy and control in Photoshop, Camera Raw and Lightroom. If you are shooting RAW then these setting won’t really matter as the software you use will set all of these on import. The only option I would reduce below zero is contrast as this will help you to see your photo with greater ease on the camera’s rear screen. Find your image optimisation menu and leave all settings as neutral as possible or at zero. Turn off your cameras noise reduction and never turn it on again. 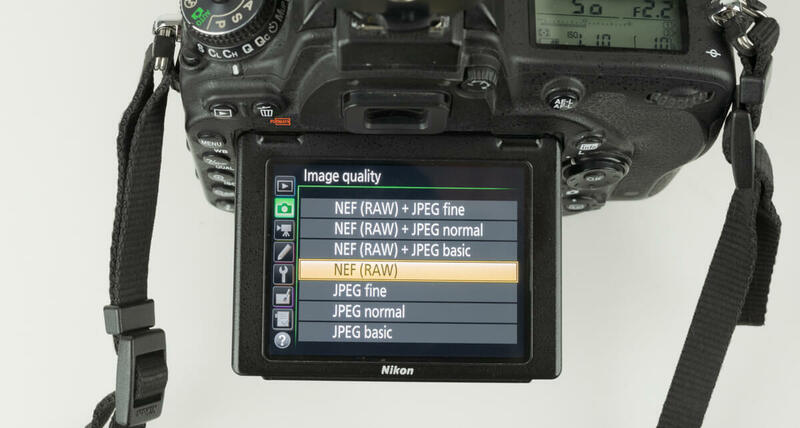 For RAW it won’t matter when editing on your PC but it will affect what you see on the back of your camera. If you shoot jpeg it will affect the final file. Your editing software does a better job at managing noise. I have seen many MANY times on various online sites people claiming using editing software is cheating. Firstly, what are you trying win? Secondly it is not “cheating” to use editing software to create a specific artistic look, or to use such software for image retouching and reconstruction. This IS part of the process of producing photographs. Manipulation of what you see in front of you when taking a photograph starts with how you use light to shape contrast and colour, then what lens you use to create the perspective of the scene you are capturing, to the camera body you you, through to how you choose to manipulate pixels on the computer. In the days of film, the typeof film you used and the processes you used in the darkroom affected how the final photograph turned out. Turn off in camera noise reduction. Your digital camera uses a mathematical model known as a colour space to help the capture and interpretation of colour from what you see as colour (the visible spectrum) to the digital format via the camera’s imaging sensor and on board computer. In your camera these are based on red, green and blue colour values. Most cameras will allow you to choose the colour space in a image optimising menu buried somewhere deep in its menu system (if you dont know where it is have a look and find it now). Usually you are given a choice of sRGB or AdobeRGB. Adobe RGB is a specialist colour space that compresses colour values and requires specific software to uncompress them. It has roughly 35% move colour available to it than sRGB but comes with some major draw backs most notably that no major publishing platform uses it. But, it has a larger colour spectrum available and makes ideal for printing. sRGB is the world standard for digital images and is used in printing and on the Internet (there is a trick to improving colour accuracy on the net in photoshop, again I will talk about this at a later date). It has also been around much longer AdobeRGB so all the standards used in modern display technology uses this colour space. There is debate about which is better to use. Adobe RGB will give you more colour in your image and if you have a monitor that supports display those colours and a printing process that does too then shoot in this colour space. As most of your photographs will end up on the net on instagram, 500px, facebook, deviant art or some other photo community then setting your camera to sRGB will allow it to produce images that reproduce the colour and tone that is supported on most modern display (monitors, tv, smart phones etc). As you progress and if you start to shoot for printed reproduction then switching to AdobeRGB will be a more preferable option. 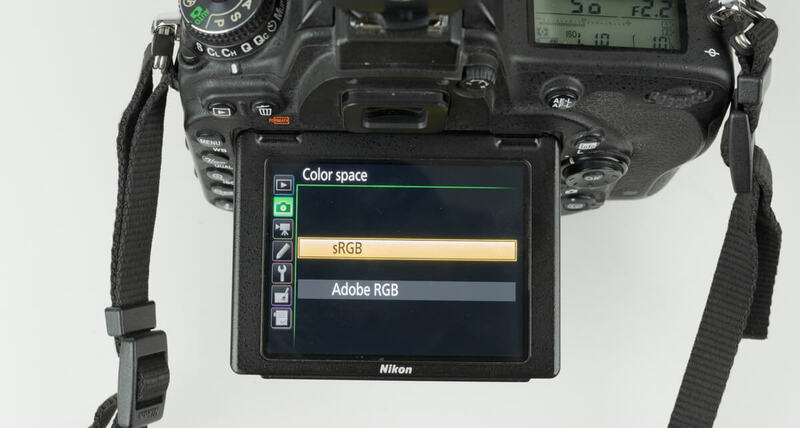 To begin with select sRGB in your camera menu. We all think we know what white is. In the physical sense we perceive white when all of the colour sensitive cone cells in the human eye are stimulated in nearly equal amounts. But, we interpret white differently in many different natural colour environments and are able to distinguish it even in warm or cold colour environments. Cameras have a white balance setting so they can render colours and neutral tones correctly in a given colour light environment in an attempt to keep what we think is white, as white. Hence the term white balance (sometimes called grey-balance). White balance is an entirely different subject together, on which many books have been written. The important thing to remember here is that, as a beginner, getting that white as accurate as possible is not important yet as there are other area’s to focus on like composition and camera techniques. This is why all good dSLR’s and top end point and shoots have an auto white balance mode. The majority of all colour problems in a photograph will be down to the assigned white balance. If you shoot RAW this will not be as much of a problem as it can be altered afterwards, but if you shoot in jpeg it will be harder to correct. Most of the time when I shoot in RAW I leave the white balance set to auto as it allows me to spend less time checking a photographs colour and more time concentrating on the job at hand. This dosnt mean it should be ignored, there are jobs when taking a manual white balance reading or shooting a grey card are required for colour accuracy as your final product has to match the subject being captured. But altering the colour of a photograph to suit a time of day or a specific mood will be part of your creative process. 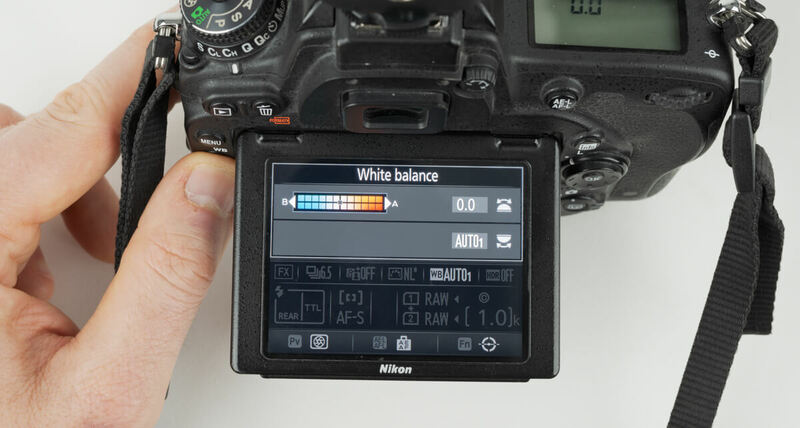 Set your cameras white balance to auto. The grandfather of dull photography lessons, so what is it? Basically it is the mechanism that allows your camera to work out the correct exposure for the scene you are photographing. There are usually four options: Matrix, Centre-weighted, spot and highlight weighted. For the purpose of this lesson, set the camera to Matrix metering as this setting calculates an exposure based on the overall scene and usually nails it most of the time. If i’m shooting in aperture priority i usually use matrix in conjunction with the exposure compensation setting (the +/- button) to fine tune the exposure. Centre weighted, whilst monitoring the overall scene, pays more attention to the centre of the frame. 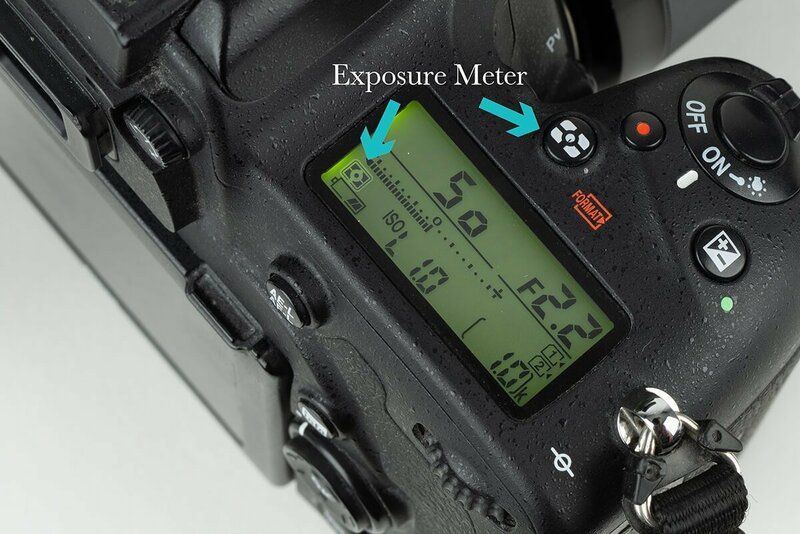 Spot metering meters a small circle in the middle of your frame and then calculates exposure. Highlight-weighted aims to reduce loss of details in highlights which is handy for unbalanced situations. CHECK ISO AND SET TO THE APPROPRIATE LEVEL. What is ISO and what is the appropriate level to set it to. ISO is one of those things that can confuse beginners at first, but it isn’t a vastly hard concept to get your head around. ISO (International Organization of Standards) is the sensitivity of your camera’s imaging sensor. 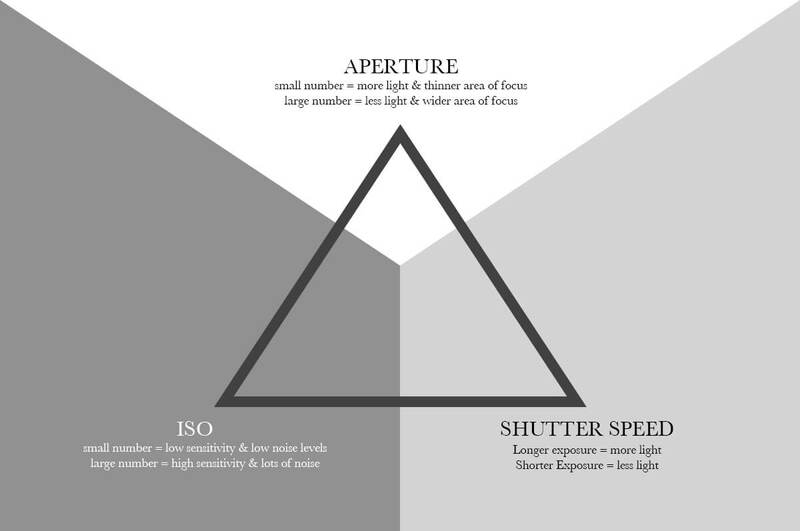 It is one point of the exposure triangle (we will get to this at the bottom of the page) ISO was originally used to describe the sensitivity of photographic film and has been passed over to the digital world as an equivalent measurement system. A low number of iso 50 -200 equals low sensitivity, low levels of noise in your image, smooth gradients, accurate colour representation and fine details. A high number, iso 1200 – 6400, will result in a high sensitivity, visible levels of noise, rough gradients, poor representation of colour and a loss in fine detail. Both have their advantages and disadvantages depending on the situation you find yourself shooting in which I will talk about later. Shooting a landscape or a portrait using flash then you would aim to keep the iso low. Photographing sports then raising the iso to about 500 allows you to have faster shutter speeds with aa aperture of f/5 – f/5.6 which should make your shots nice and crispy. If you are shooting the milky way then you would use iso 1600-2400 with a 20 second exposure (or higher with a sony body) or if you were trying to photograph moving subjects in a low light situation to keep your shutter speed around 100th of a second. If you are in a situation where light levels are changing, but you want to keep the shutter speed and aperture the same then use auto iso. The only real way to understand when and how to use different iso levels is to experiment, but use the above as a guide. Exposure modes control the relationship between the lenses aperture blades (these control the amount and angle of light travelling through the lens) and the shutter mechanism. 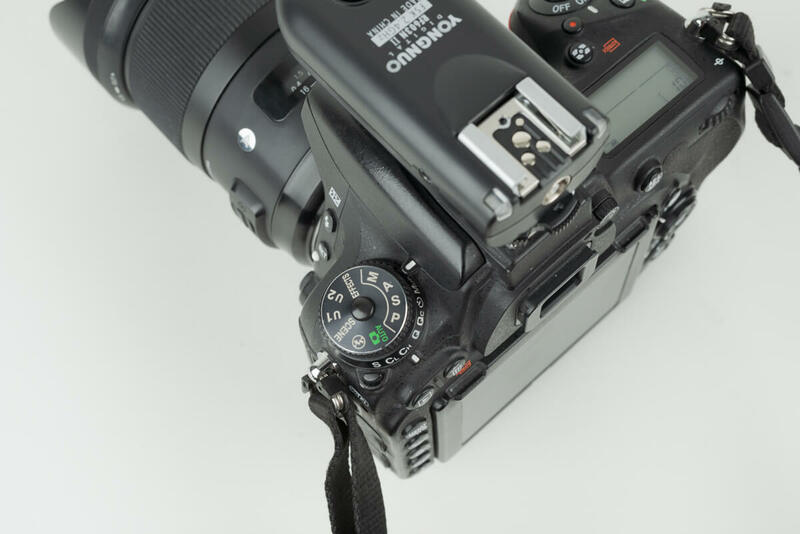 Manual will give you full control over how long the shutter mechanism remains open and the depth of field (the area of the photograph in focus ) as controlled by the aperture. Practically, it is good for studio work and conditions where light levels are consistent. Aperture priority will allow you to set the depth of field for any given focal length whilst the camera works out the correct shutter speed. 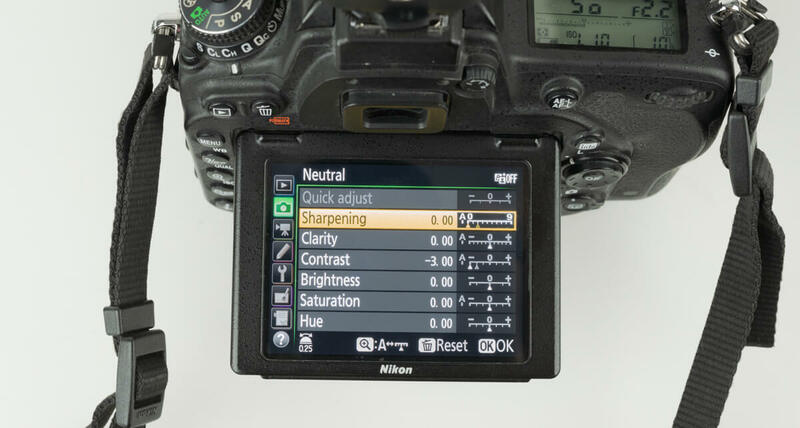 This is useful for when you are working fast and want full control over you depth of field, like at a wedding or an outdoors portrait shoot, or if you are using exposure bracketing (a technique involving taking several photographs of a composition at different exposures). Shutter priority is best suited to situations where your subject is moving fast, like sports, where you want the shutter speed to remain constant. I have still yet to find a practical use of programmed priority, I’m sure there is one but it does sit lonely and unused on my camera. Experiment with these four settings, DO NOT get stuck using only one because you find them confusing. The exposure modes are the key to capturing a correctly exposed photograph and knowing when to use them will come with time and experimentation. The two modes I have only ever used in my work are Manual and Aperture Priority. I use manual shutter in three specific situations. in the studio where I am using controlled lighting and radio triggers. when i am using auto-iso. When I shoot events like a wedding or sports, I keep the aperture and shutter fixed and let the auto-iso do the job. You can define the range the iso can go to so you can prevent the camera from going above a certain level. When I am shooting panoramas with a tilt shift. The tilt shift I own plays tricks with the aperture priority setting on my camera. So I work out my shutter speed on my central image and then keep that fixed along with fixing iso and aperture. Aperture priority is the mode I use when I have no control over the light intensity. If you are shooting HDR’s outside then you can use aperture priority. And the same goes for outdoor portraits. You can do most things with manually, but if you’re concentrated on your subject and the light intensity changes you will blow your exposure. 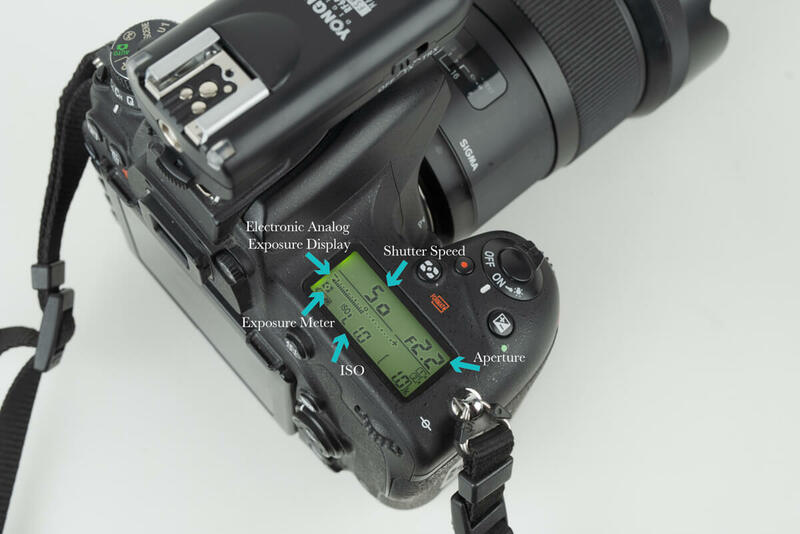 Setting the shutter speed and aperture are the other two points of the exposure triangle. Most cameras have an electronic analog exposure display (see photo above) which you can find either in the viewfinder, on the rear LCD or on the control panel (if your camera has one). What we are trying to do with this 99% of the time is to get the indicator mark to land on the zero in the middle of the scale (the optimal exposure). There are a many different combinations of shutter speed and aperture to get the optimal exposure, but what we are trying to do is take a creative image not a mathematically accurate one. The type of exposure mode will determine which one of these you set. 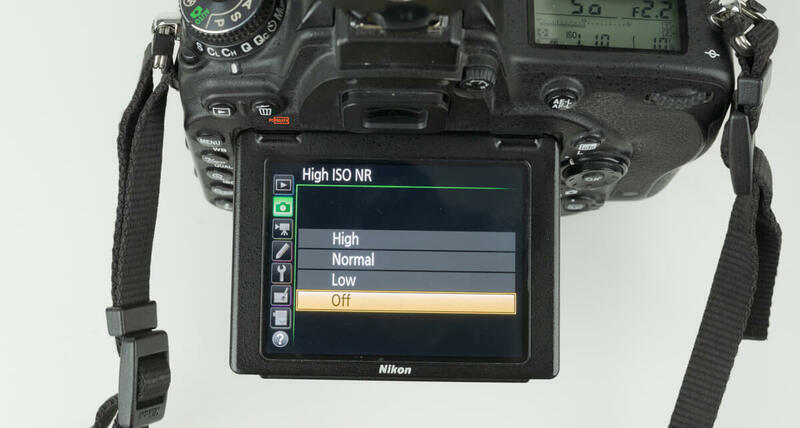 If you are shooting in full manual, then you will need to set both shutter and apertures. If you are shooting in aperture priority, then you will only need to change the aperture as the camera does the work with the shutter speed. The lens aperture is a set of blades that acts to narrow light as it enters the lens. This mechanism controls what is known as depth of field. To set the depth of field you will need to alter the apertures f-number. A low f number (f/2.8) will let lots of light through the lens, increasing your shutter speed and will give you a thin area of sharp focus. This will give you an out of focus background which is ideal for creative portraiture, sport and macro work. A high f number (f/10 to f/22) reduces the amount of light passing through the lens, lowering the shutter speed and gives us a deep area of focus. It is good for capturing scenes that are expansive like landscapes or architecture and for studio portrait work. Setting your camera’s shutter speed will be dependent upon what exposure mode you have selected. If you are using aperture-priority then the shutter speed will be worked out for you. To see this in action, set your camera to aperture priority and simply move the camera around. You will see the shutter speed reading changing. If you point your camera at a scene with lots of light the shutter speed increases and becomes very fast. Most dSLR’s have a maximum shutter speed of either 1/4000th or 1/8000th of a second. If you point the camera at a scene with low light levels, like in a room or in a forest, the shutter speed will reduce. Again, there is a maximum in camera limit to this which is 30 seconds on most models. 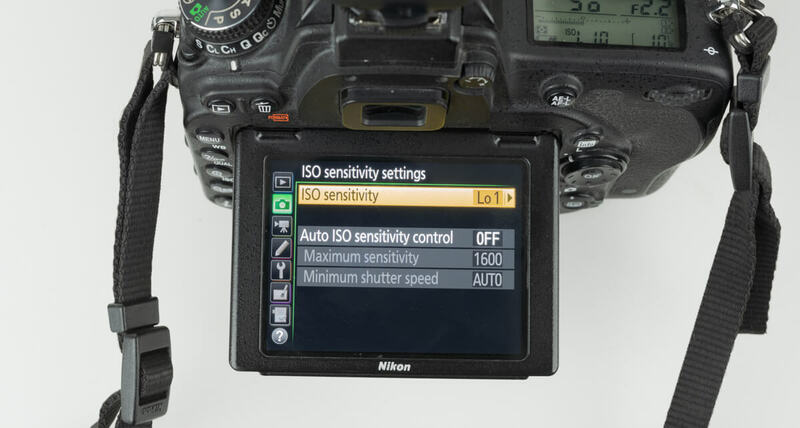 If you are using manual exposure mode then you will now need to adjust the shutter speed to get the optimal exposure. As mentioned before, try to get the indicator mark to land on the zero in the middle of the scale. 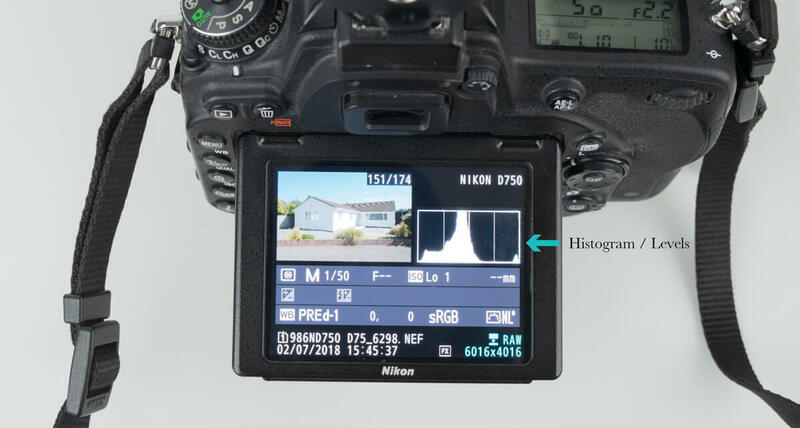 All of the information you need to calculate the best exposure for your photo can be found: on the rear screen by pressing, on most cameras, the info button; in the viewfinder and on the top LCD as pictured above. As mentioned further up your exposure is controlled by the aperture, shutter speed & ISO settings and each one has an effect on the other. For me the exposure starts with the aperture as this is the prime creative point when building your composition. The more you shoot, the more you will learn this. ISO and shutter speed then work together to achieve the duration of the exposure you want. The above table is a very, VERY rough guide and does not take into account creative possibilities. For example if you are shooting a long exposure at night you would use a low ISO to reduce noise. If you wanted to shoot a portrait on a bright day or with flash (high intensity light) but with a narrow depth of field you would use a ND filter to balance the exposure. The only way to learn how this relationship works is to spend a small amount of time just experimenting with each element in different light situations. Another tool open to you to help you decide if your exposure is accurate is to press the play button on the rear of camera and have a look at the camera’s histogram which shows the distribution of tones from pure black to pure white.